Iran just made a historic breakthrough. It signed a multi-billion dollar deal Monday with French oil firm Total (TOT) and Chinese state oil company CNPC. Working with Iran's Petropars, the companies will further develop the country's giant South Pars gas field. This marks Iran's first major Western investment since sanctions were eased on the country in early 2016. The U.S. and other world powers lifted many sanctions after the country promised to roll back its nuclear program. 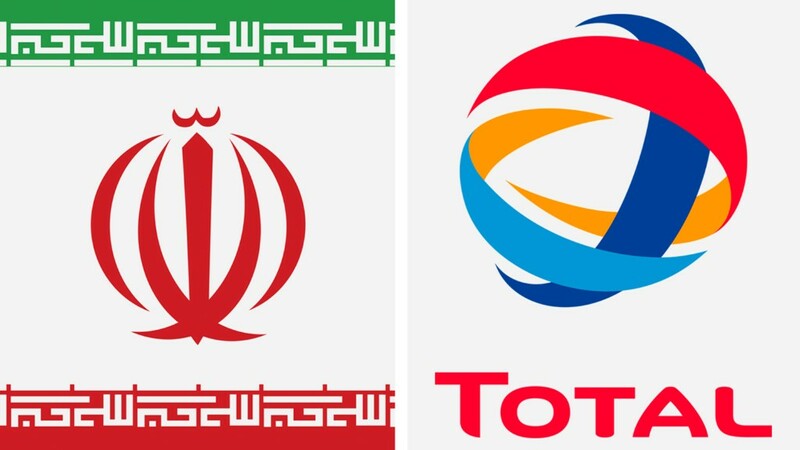 With the 20-year deal, Total is now returning to Iran, where it first began operating in the 1990s. Total CEO Patrick Pouyanné said in a statement on Monday that the investment would be "in strict compliance with applicable national and international laws." The U.S. still has restrictions in place that block most American companies from investing in Iran. And some Western companies have been reluctant to jump in since Iran still faces sanctions that prevent firms from transacting with Iran in U.S. dollars. Total estimates the first phase of the project will cost around $2 billion. It said it could not provide an estimate at this stage about the cost of the second phase. Iran's state news agency said the project would require total investment of about $4.8 billion. Total is taking a 50.1% stake in the South Pars project. CNPC will own 30% and Iran's Petropars 19.9%. Iran's energy ministry predicts the project will eventually produce $54 billion worth of gas products, based on current prices. The gas will start flowing into the Iranian market in 2021. The project will have a production capacity of two billion cubic feet per day, or 400,000 barrels of oil equivalent per day including condensate, according to Total. Iran has significantly ramped up its energy production since the sanctions were relaxed. Figures from oil cartel OPEC show Iran has boosted its daily crude oil production by more than 33% since 2015. The country sits on 9% of the world's proven oil reserves and 18% of the planet's natural gas, according to data from BP's (BP) Statistical Review of World Energy. Iran and Qatar share the South Pars field. -- Chris Liakos and John Defterios contributed to this article.